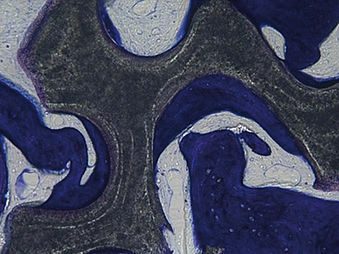 All organic components are removed by means of sintering to leave only the mineral phase of the bone. BEGO OSS meets the most stringent safety standards for xenogeneic bone substitute material. 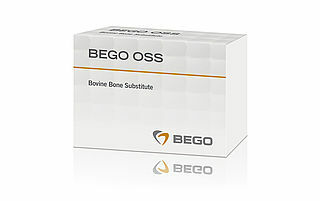 BEGO OSS features an interconnecting pore system which combines a high degree of porosity with simultaneous mechanical stability. 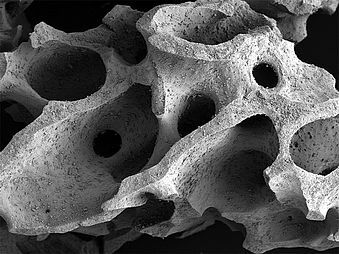 The BEGO OSS 3D pore system is a highly complex network in which the macroporous dimensions of natural bone are preserved in order to ensure the optimal recruitment of bone cells. Micropores generate strong capillary forces for the complete penetration of BEGO OSS with blood. The nanoporous hydrophilic surface is ideal for binding highly effective proteins to BEGO OSS. 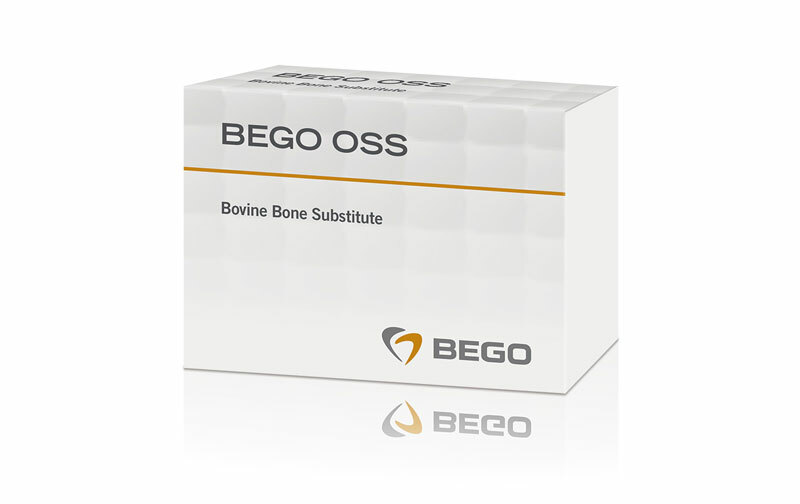 The BEGO OSS properties have been optimised to achieve a high level of de novo osteogenesis.